Yuniku only opened about a month ago. 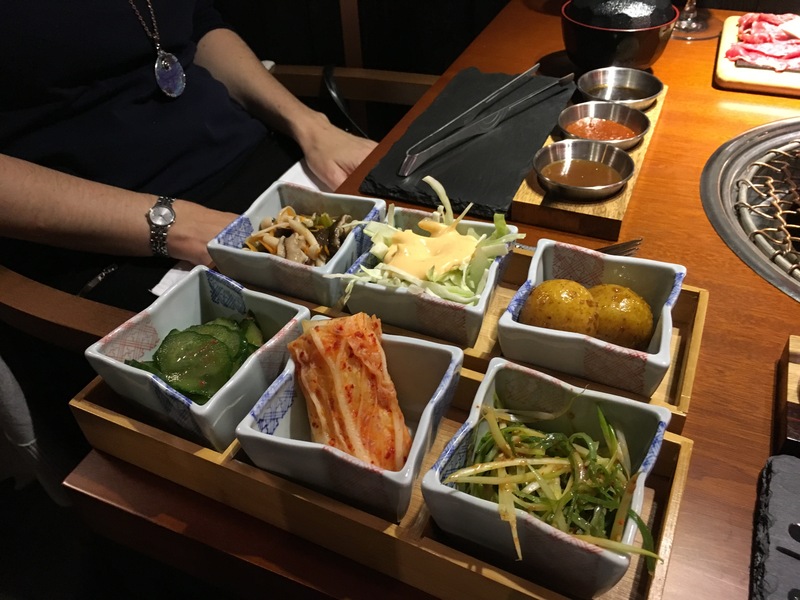 I remember the place as an unexceptional pizzeria – now it’s been completely refurbished as a quality Korean BBQ. 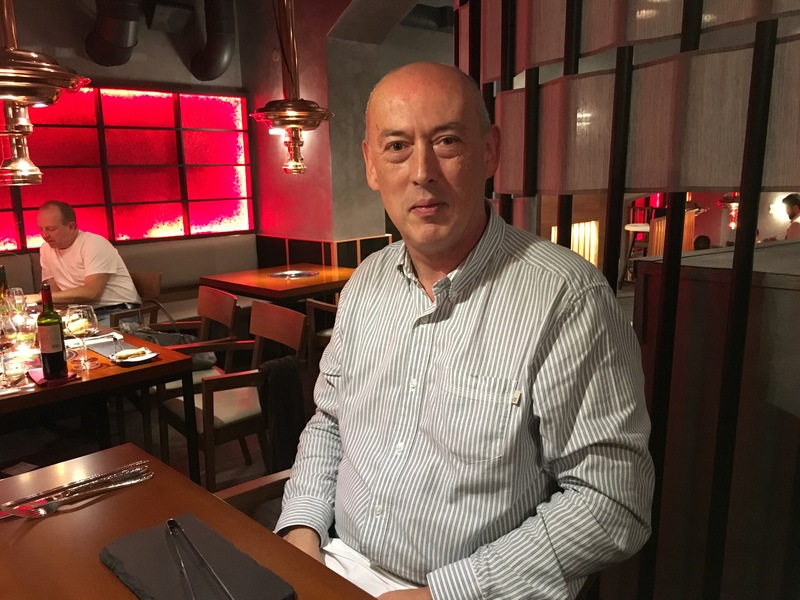 The restaurant is just a few steps from Náměstí Míru – you enter and walk down a few stairs into a large room – I think there is also another room at the back. 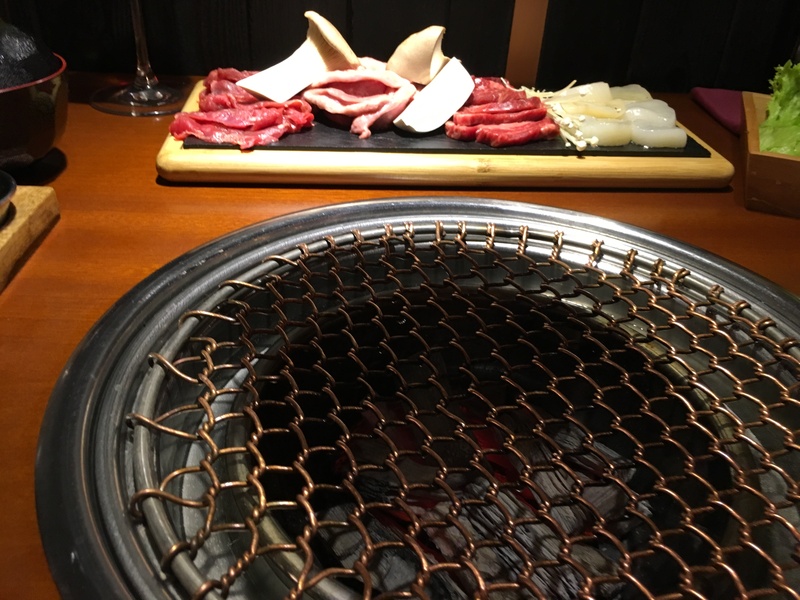 The menu has some non-BBQ dishes, but this place is all about cooking your choices of meat and fish over a charcoal grill that sits in the centre of your table. 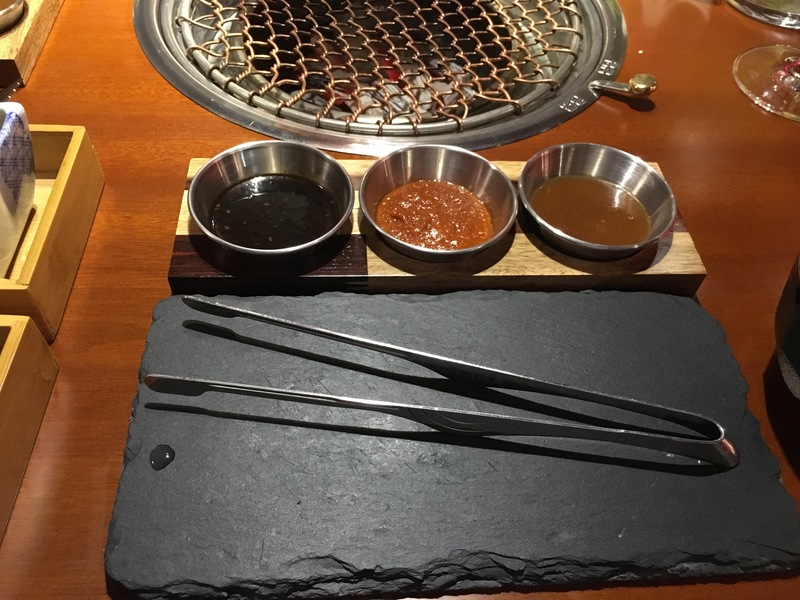 The waiter brings the hot coals – no gas burners here. The funnel above the grill is connected via a series of pipes and really does a good job of removing the cooking smells. Our clothes didn’t have any trace of cooking smells on them after we left. We ordered a good bottle of Malbec for 470Kc and a jug of tap water 50kc. In November, there was a 30% discount off our bill so we paid a 1105Kc instead of something like 1600Kc. Let’s hope they continue running that promotion in December. The quality of the meat and fish was excellent. The side dishes and sauces delicious. We really enjoyed our meal and the four items were enough. 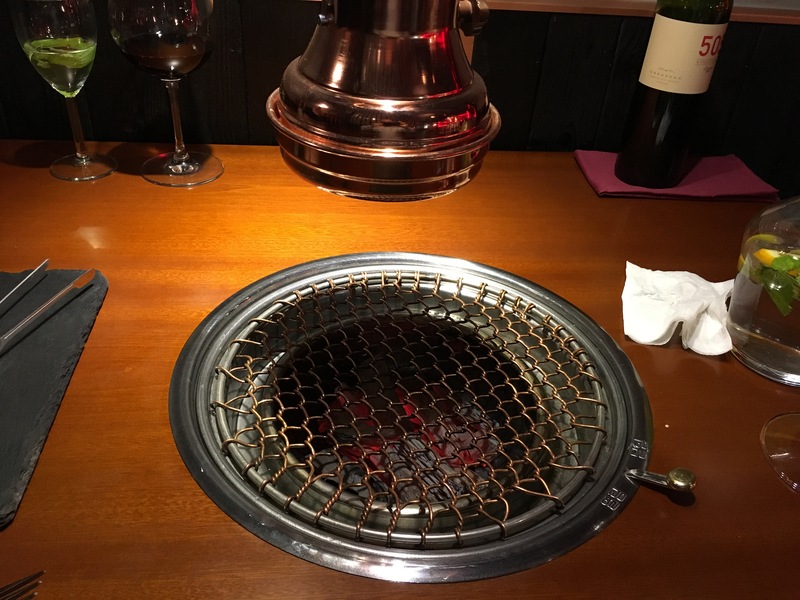 The coals had died down after we finished – I guess they are replenished if you order more.